I recently discovered that Amazon sells cross stitch supplies, which is useful since I haven’t found a place in Basel to buy them from yet. In the process, I learned that Anchor does a lot more multicoloured threads than were ever available in Karlsruhe. Since I have no willpower whatsoever when it comes to spending money, I decided to buy some to play with, despite not actually having any need for multicoloured threads right now! The following stitches were all experiments and I have no idea what I’m going to do with them yet. Also, they were all taken from magazines, although I’m not sure their original artists would recognise them now! 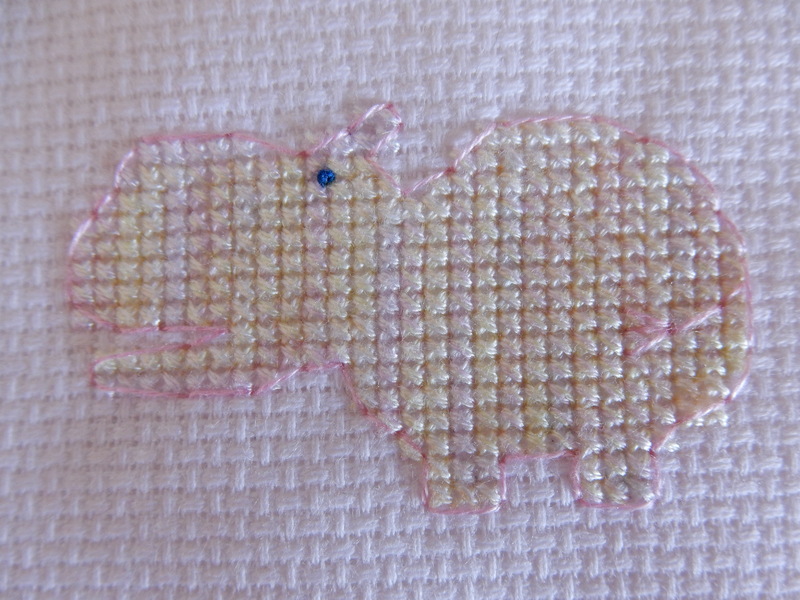 The first one I did was a hippo, using a multicoloured thread I already had. Based on the colours, it will probably end up as a new baby card for a little girl. 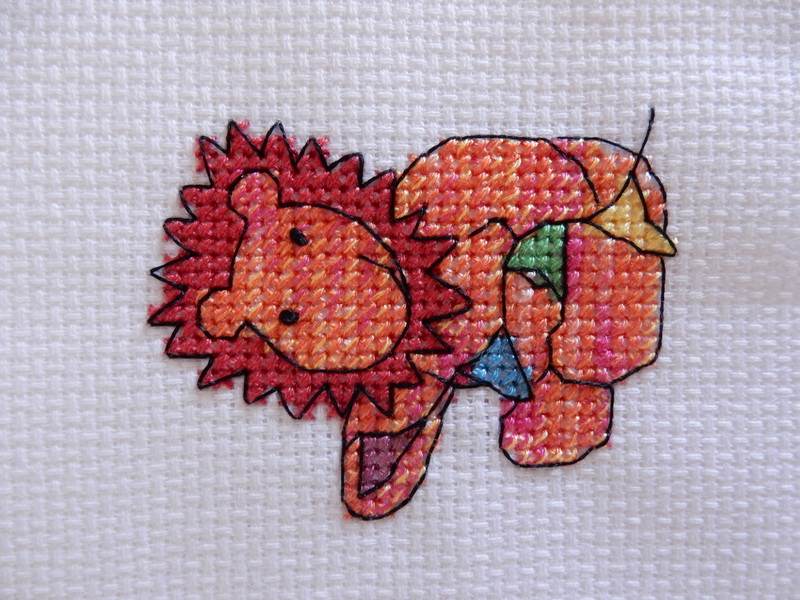 For the next one, I knew as soon as I saw the thread that I wanted to use it to stitch a lion, so I went looking for one in all my cross stitch magazines. I think it turned out quite well! I used two different threads involving green for my next two items, a stripy dinosaur and a rather luminous snake! These were quick stitches and I got them both done on the same evening. 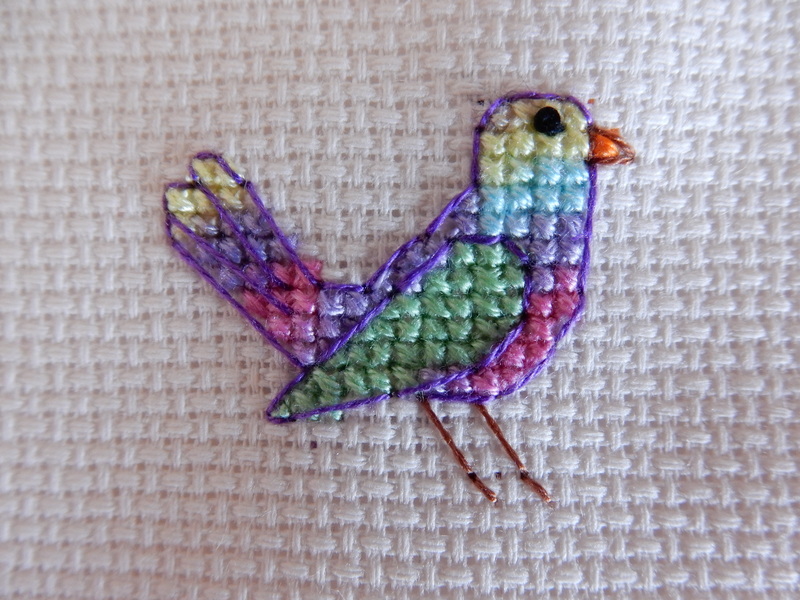 Finally, I used a many-coloured thread to stitch this rainbow bird. I’m really proud of this one – it actually looks like it’s meant to be this way! (The wing was done using a plain green thread – I thought making that multicoloured too would be a bit much). Which is your favourite? I think mine is either the bird or the lion. 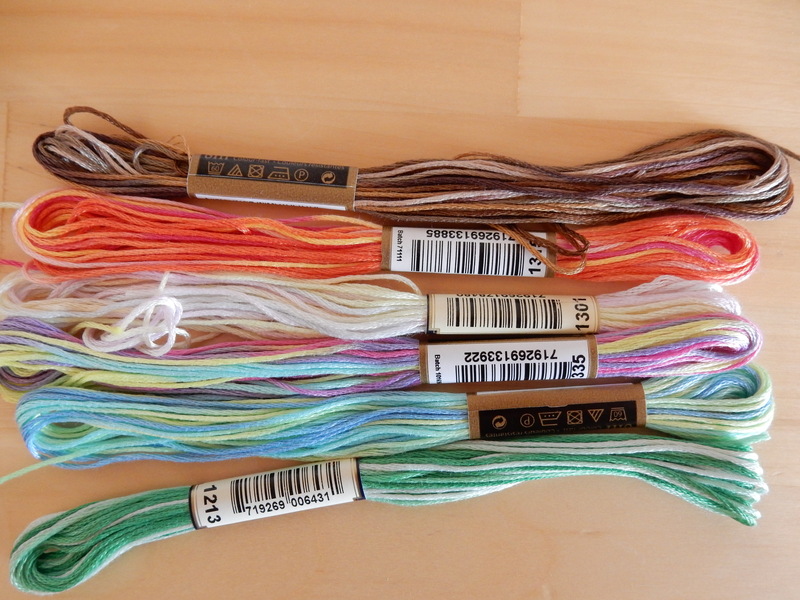 Fellow stitchers, what would you use multicoloured threads for? By the way, I will soon be starting a new round of “guess the cross stitch” (as requested by Linda). I hope you’ll all join in! Those who don’t know what I’m talking about can see last year’s here.